Jeremy Steinberg will be coming to Lost Lake Equestrian Center in Colorado on March 19 & 20, 2016 for a dressage clinic. We are very excited to have him out to our barn and have the opportunity to learn from his dressage experience. Contact Us if you are interested in participating in or auditing this clinic. We will also possibly have the opportunity to have Jeremy back out in Fall of 2016. Jeremy began his riding career at the age of 11, quickly turning his full attention to dressage following lessons with Melle Van Bruggen who was the US Dressage team coach at the time. At the age of 15, Jeremy was introduced to Dietrich von Hopffgarten, a long time pupil of the late Egon von Neindoff. Dietrich quickly became Jeremy’s long time trainer, mentor and friend. By the time Jeremy was 19, with the help of Dietrich, he had trained his first horse Sinbad, an off the track Thoroughbred purchased as a 3yr old, all the way up to Grand Prix. Jeremy worked closely with Dietrich for 15 years until Dietrich’s death in 2006. Jeremy has also worked with Klaus Balkenhol, Guenter Seidel, Debbie McDonald and Jan Brink over the last 15 years. Jeremy spent a year in Cappeln, Germany, working at Gestüt Vorwerk with Martina Hannover, a longtime pupil and friend of the late Herbert Rehbein. It was at this time the stallions Rubenstein, Rhodiamant, Royal Diamond and Relevant, all owned by Gestüt Vorwerk, came into popularity. After Germany, Jeremy returned home to start his own small training business and went on to win the individual gold and team silver medals at the North American Young Rider Championships in 1996. In 1997 Jeremy moved his business to Southern California, in order to be closer to the bigger shows. During this time the horses Hallmark, Hawkesbury, Axyonx and Valiant Prince all started their Grand Prix careers with Jeremy. He returned back to the Seattle area in 2002 to be closer to family. He brought the horses Elisienne, Eloge II, Gordon, Bert, Caruso, Frisco and Parocco all up to Grand Prix during this time. 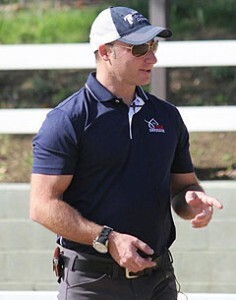 In 2010 Jeremy was appointed the United States Equestrian Federation (USEF) Dressage Youth Coach, hired to create a developmental program to bring dressage youth in the US up to an international standard of riding. During that time, the focus was on the training and bringing the next generation of US dressage riders into the Under 25 Grand Prix division. Jeremy is a USEF HP rider and has ridden in the National Championships, competed in the US League final for the World Cup and won numerous regional championships from Training Level up to Grand Prix. Currently Jeremy has found good help and friendship from internationally acclaimed writer and classical dressage rider and advocate Paul Belasik. In 2013 Jeremy moved back to San Diego to once again be closer to the larger CDI shows. In 2014 Jeremy stepped down as the USEF Youth Coach in order to more avidly follow his own riding aspirations. Jeremy runs a small boutique type training business in Del Mar California where he trains and works with a few horses and riders of all backgrounds and levels. Jeremy has a very busy clinic calendar, which includes trips to Australia, Canada, New Zealand as well as many locations throughout the US. For the past 15 years, he’s averaged about 48 clinics per year and is a very sought after educator and teacher.